Jerry Hadrava of Iowa registered this cultivar of unidentified parentage in 1999 as part of his Rosedale Series. 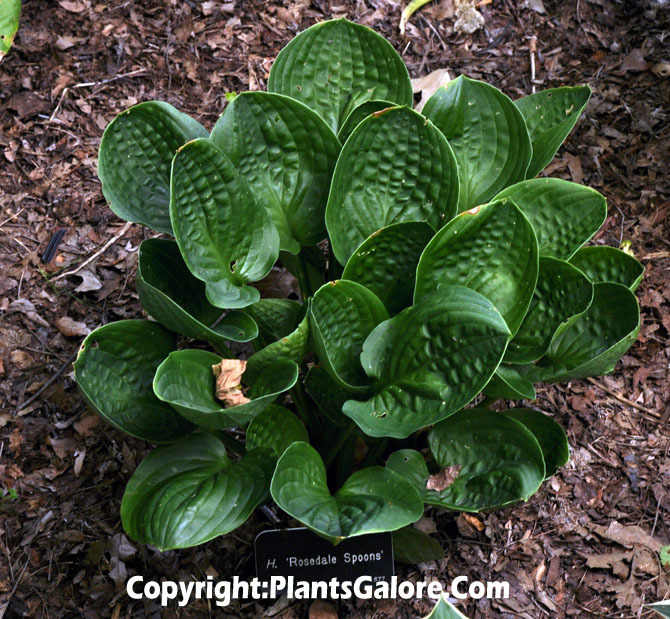 It grows into a medium size (16 inches high) mound with nearly round, cupped leaf blades. Near white flowers bloom in July. According to The Hostapedia by Mark Zilis (2009), this cultivar is similar to H. 'Black Hills'. Similar cultivars include H. 'Lakeside Lollipop'.